He accepts that he inherited 'the worst merger in history', but the chief executive and chairman of AOL now has his sights on making the company the cultural centre of the internet. By Arif Durrani. Appearances can be deceptive. 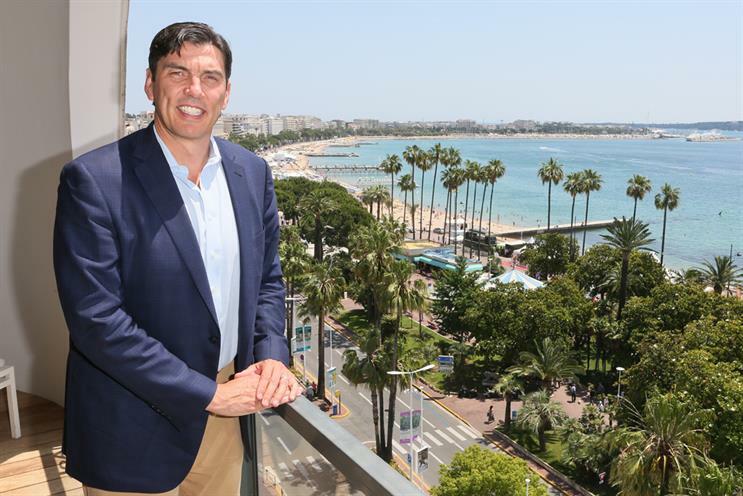 Being photographed on the balcony of the Majestic Hotel in Cannes was the closest AOL’s chief executive and chairman, Tim Armstrong, had come to experiencing the Riviera sunshine since touching down at Nice Airport that morning. Back-to-back client meetings, followed by a company roundtable discussion with Campaign, had kept Armstrong in darkened suites. It’s a typically gruelling schedule for a man who, since taking the helm at AOL in March 2009, has worked from 5am to 10pm most weekdays. "It’s insane," he admits. "But I’m really excited about the future of AOL. If you look at where AOL was four years ago, pretty much everybody had written it off. Now we have a number of things that we are doing right at the forefront." Armstrong’s progress has been scrutinised since AOL formally split from Time Warner at the end of 2009. In December that year, he took the company public on the New York Stock Exchange, where its market cap was $2.5 billion, a tenth of its value at its height in the noughties. Once divorced from the entertainment giant, and with tough prevailing economic conditions, many did not expect AOL to survive in the form it was in. In reality, it didn’t. In a radically bold play, Armstrong has set about overhauling the company around original content and programmatic buying. It appears that his vision is being realised, albeit slowly. AOL’s total quarterly revenues grew in the last quarter of 2012 to $599 million, its first increase in eight years. Then followed in 2013 a first-quarter revenue rise of 2 per cent to $538 million, and Armstrong expects it to be the "first full year of top-line and bottom-line growth in a decade". Four years into your tenure as chief executive, is AOL where you wanted it to be? Overall, yes. You have to remember we span out of the worst merger in history. We had to lay off a third of employees; we went through a proxy battle. We did major acquisitions [TechCrunch, 2010; 5min, 2010; Goviral, 2011; The Huffington Post, 2011] and major dispositions [Bebo, music sites and patents to Microsoft]. So, I think we’ve probably done seven years of work in four years. For the first time in a long time, you can kind of see the next evolution of what’s going to happen. Things are becoming clear. It’s about connecting with consumers’ lives, leveraging scale and technology in a different way than before, and the organisational change that goes with it. How is AOL adapting to such changes? The companies that change the fastest to get to that point of doing really "live" advertising and leveraging technology are going to have a huge competitive advantage. We’re probably the single largest investor in content from the digital media company side. In the past three years, we have invested about $1 billion in content, including acquisitions. With The Huffington Post, TechCrunch, AOL and Be On expanding globally, we have four mega-brands we are investing in. Would we do more investments in the content and partnerships side? Yes. But there’s nothing imminent; we’re focused on the organic growth of our current brands. So, there’s no truth in the rumour that you are among the bidders circling the online video service Hulu? With all acquisitions, we look at what the long-term yield would be, what the ownership structure is and the rights and those things. I think Hulu is a nice asset and I think a lot of Hulu is dependent on the deals that get cut on the content rights side. At this point, we are active watchers of the situation. Could you be tempted by Time Inc’s magazine brands? I’m a huge fan of brands, and I think Time Inc has some really valuable brands. And I think content brands will become more and more important. But, just to be clear, we’re not looking at buying them. With your focus on content and ads, and your global rollout of brands, AOL now sounds more like a media owner than ever before, is this how you view yourself? We call ourselves a media technology company, the underpinnings of everything we’re investing in is all tech based. Everybody always tries to make us separate those two things, but I think the most valuable thing is to be both media and technology. How important are agencies for AOL and do you believe they are currently structured in the most effective way for your evolving digital business? The agencies bring a big value to the value chain. I think a lot of them are starting to move more quickly. They are starting to make some big changes to their structures. We want to build deep marketing services relationships with them and their clients to get them into these community interest areas around content. And, working very diligently on using technology scale to help them scale-up their businesses, and I think that piece is huge. I think the programmatic shift in the marketplace is really big. I think one of the really big mistakes some of the clients have been making is letting procurement drive relationships overall. As a marketer, the most important thing you own is your brand. I think in a reasonable, responsible way, agencies can bring a lot of value to brands. I think when it gets trapped in a cost only model, I think that creates a lot of challenges, and I see a lot of people making mistakes. AOL’s Be On is based around providing quality online video content for brands at scale, and has targeted marketer’s traditional TV budgets as a multi-million pound potential. What's the thinking behind this? I really would like to see brand advertising be successful online. I think it’s a significant opportunity. AOL was the first company to standout and say content is key with Project Devil and Pictela. It’s something we really want to lead on. I spend a fair amount of my time trying to create the next iteration of online advertising. I think it’s coming from three things: video, premium formats – formats that allow brands to publish content - and mobile. It’s going to be about execution, and what the DNA of your company is really about. The reality is, especially with content, you have to be a fundamental believer and investor in that space. AOL’s mothership in the US, during your time as CEO, has been fairly static with comScore tracking around 111 million unique users in February 2009 and 118 million in May 2013. Is this good enough? If you look at the large internet companies, very few of them are growing really quickly now. We have a scale, we have 250 million global users and we’re intent on growing the base. But we have the tail-down on the traditional AOL access business also [the dial-up subscription business is in managed decline], so anything that’s flat or up for us is really up. But I’m not satisfied with our current level of consumer usage. I think the areas that we’ve invested in are so important from a human standpoint of news, technology and women’s content. I think there’s a significant opportunity for us to grow traffic over time. For a global digital company like AOL, how important is the UK? Most of the major brands are working out of the UK now. From our standpoint, the UK is generally the first market we go to outside the US. From a strategy side, we’ve been changing the management team, with Jimmy Maymann (CEO, Huffington Post) and Rene Rechtman (CEO, Be On), in the global management team, and that’s purposeful. It’s really hard for companies, especially US based companies, without international leadership on the executive team to really make big progress. Jimmy and Rene are both global entrepreneurs and have been really helpful to have on the team. Last month you launched HuffPo in Japan and, this week, the first African editions with French-language version for the Maghreb countries – Tunisia, Morocco and Algeria. Is Arianna Huffington’s news site performing as well as you’d envisaged when its global roll-out was conceived? One of the things that’s really amazing is travelling around the countries where the Huffington Post has rolled out, is the impact it is having in these countries. Most of the countries we’re a top three news provider already, and we’re partnering with some of the best companies in the world to do it (La Monde, France; Saahi, Japan; El Pais, Spain). It’s a unique period of time for a unique brand. Huffington Post is generally in the top three digital news providers in all its markets. The wide range of news, views and features on Huffington Post has ensured media interest and acclaim – not least when last year it became the first commercially run, US digital-only media operation to win a Pulitzer Prize – but revenue and profit figures are never actually split out. Is the brand anywhere near to breaking even yet? We are in a period of investment and will continue to invest in its international expansion of the site. But Huffington Post, if you were to strip out the investments we’ve put into it, is actually turning out into a great business. What is your long-term vision for AOL? I want AOL to become the cultural centre of the internet. That’s one of the reasons why we are investing so much in content. There’s a big opportunity to help program the internet overall. Today, the internet is very much a search-and-find-driven medium but, if you look at the investments in networks and devices and how consumers are using the internet, it’s highly likely that the internet is going to get more programmed – meaning more proactive and more "live". Most internet services don’t change by time of day at this point. And I think in future, the internet will get better and better at catering itself to how consumers really live their lives. One thing we say internally is, you can’t stand in the middle. The world is getting bifurcated into programmatic advertising and deep marketing services. You have to be excellent at both of those. If you’re trying to run your business the way you ran it five years ago – when you just put content up and there was a jump- off for what ads ran where, when and how you monetise them, I think that’s not going to be successful in the future. With Huffington Post we launched Huffingont Post Live, and with TechCrunch we are doing Disrupt conferences all over the world now, so we’re able to integrate brands deeply into the content side of it. And on the programmatic side, we’ve invested really heavily in our advertising technology stack, which allows us to yield manage the inventory really well on the programmatic side. We essentially do über yield management, making sure that every single impression we use is used in the correct way, whether it’s for the marketing services side or the programmatic side. This summer, we’re going to change the company again. We’re going to make it much more open. There will be improvements to how the company operates. We’re working on moving a lot of our brands into open, deep communities. And we’re opening up the ad systems and white-labelling them, giving them customers. We’re opening our technologies to the ad agencies.